Although you will have strangers walking around your property during an open house or house showing, do not open your door just to any stranger. If someone shows up without any appointment, tell them to call your agent first. That’s the reason why sellers are recommended to hire an agent, so their agent can represent them on the market. If you are selling your property without an agent, do not show your house alone. Ask your spouse, friends or family to be there with you. Also, be careful when there are people who come to your house at unreasonable time (early morning or very late at night). Ask them to make an appointment at a regular time or tell them to call your agent. Besides representing you on the market and making appointments with potential buyers, the reason why hiring an agent is important is because real estate agents usually check the buyers’ prequalification before showing them a home. 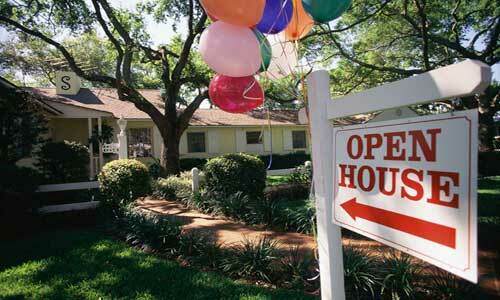 This way, you and your agent can really determine serious prospects. If you are doing the showing yourself, keep a guest book with all names and information of your visitors. Ask them to show their photo ID, write down their address, phone number, driver’s license number, license plate and if possible, a brief description of them and their vehicle. Let them understand that this is a security measure that you are taking in order to assure the house showing goes smoothly. After you have collected all the data needed, call someone you trust and share the information with them. Make sure that your visitors can hear you share their data. Furthermore, you need to be aware if there is someone who claims to be a buyer’s agent. When you list your home with a real estate agent, a buyer’s agent doesn’t usually show up at your house unannounced. They normally contact your agent first. If they insist, contact the agent’s office to confirm his involvement with that particular real estate agency, and afterwards, tell them to open the lockbox on your door that your listing agent has placed. Real estate agents use lockboxes to keep record on who’s showing what and when. Non-agents do not have access to lockboxes. When you are planning to have an open house, open all shades, curtains, blinds, and turn on the lights before letting anyone in. If outsiders can see inside, the chance of any criminal act happening decreases. Also, when you are showing your property, ask the visitors to enter the house and every room first, so they cannot attack you from behind, and avoid being trapped in a corner or other areas where there are no escape routes. Before showing the house, remove any valuable items (artwork, jewelry, electronics, china, collectible items, etc) and important documents from the visitors’ sight or out of the house completely. If you think they spend too much time in one room, checking the windows, back doors, or even your security devices, they might be up to something. If the buyers come as a couple, try to keep them together as professional burglars usually have one person talking to the agent or seller as a distraction, while the other is wandering around planning an act. If they ask things to make you reveal your habits or personal schedule such as what time everybody goes to work and school, what do you do in the weekend and such, try to change the subject while steering them to the exit. After everybody leaves, make sure you lock your doors and window. Yes, there is still a safe world out there, and we try to keep it that way by discouraging criminal acts whenever possible. Although the security measures of selling a house might seem like a hassle, it actually helps both sellers and agents to separate serious potential buyers from the crowds, to save you time and effort.